The American Psychological Association completed the green roof on their 1st Street location in May of 2014. The roof features native and locally adopted plants and retains 49,000 gallons of stormwater annually. This roof at UMD-College Park actually sits at ground level but is above a classroom. 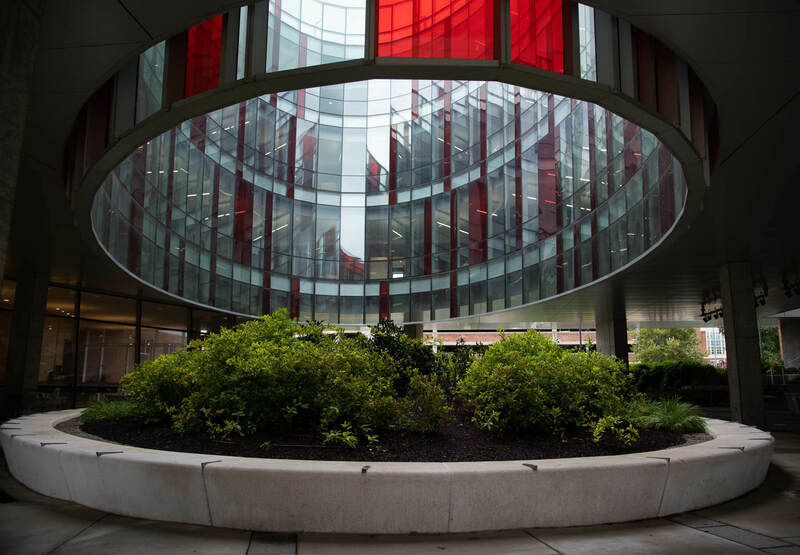 On the summer solstice, the glass paneling acts as a magnifying glass, singeing plants placed too far from the center. 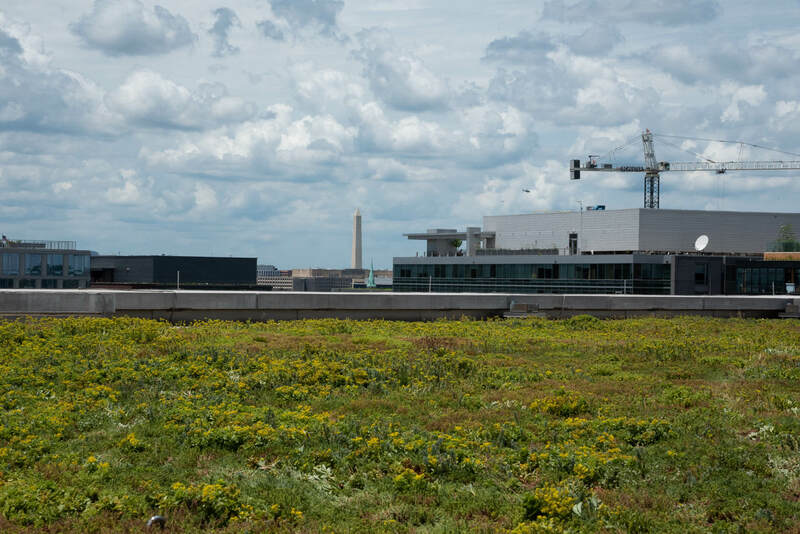 Green roof at U.S. Department of Bureau of Alcohol, Tobacco, Firearms and Explosives, in Washington, D.C. Completed in 2007, this roof is a tiered structure that overflows with plants. 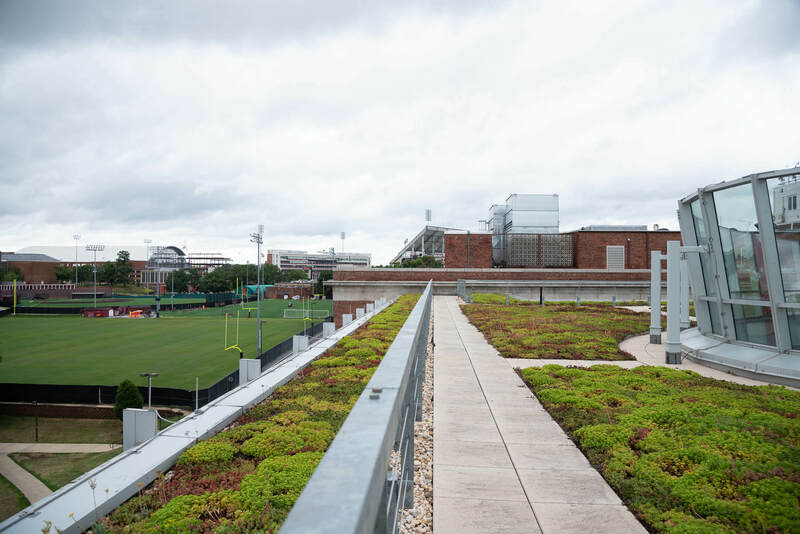 Green roofs can be hiding in the most unexpected places, like this green roof at the University of Maryland College Park overlooking dorms and athletic fields. Sedum is a low-profile plant in the succulent family that is great at retaining moisture. Because of this, it’s one of the most common type of plants found on green roofs. The Savage (Md.) 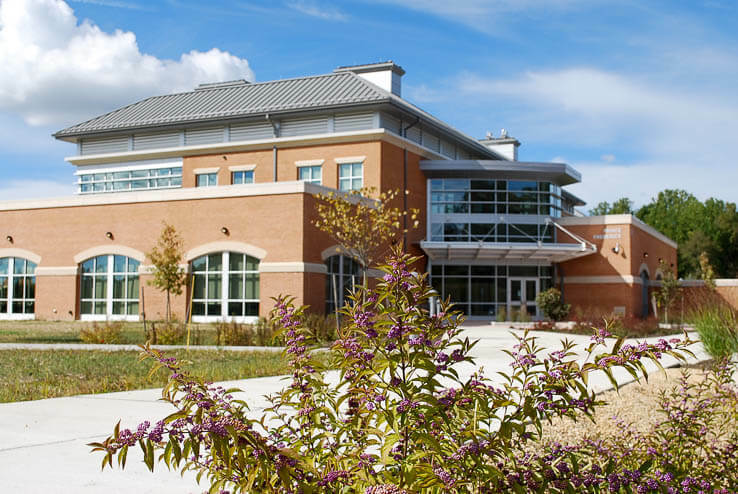 Volunteer Fire Company, a LEED Silver certified building, features a green roof and solar array which the firefighters say reduce their electric bill by 33 percent. 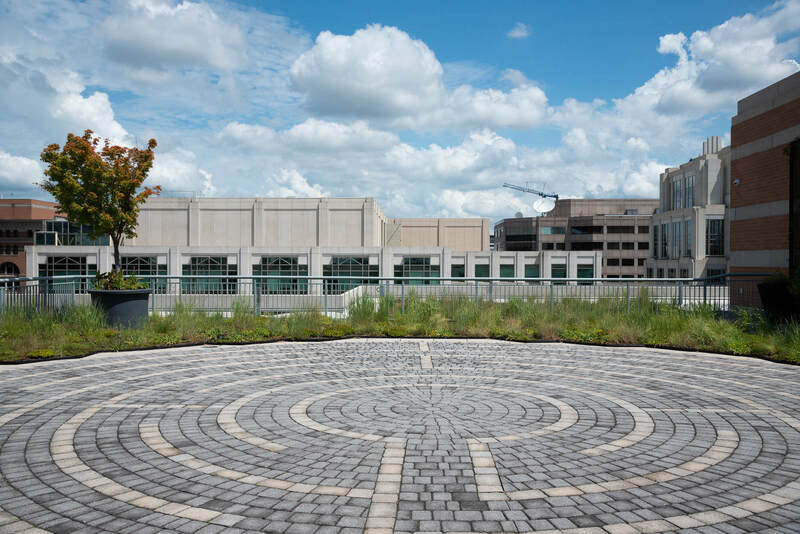 Arguably the most well-known Washington D.C. green roof, the American Psychological Association's G Street green roof and labyrinth spans 3,6000 square feet and retains 45,000 gallons of stormwater annually. 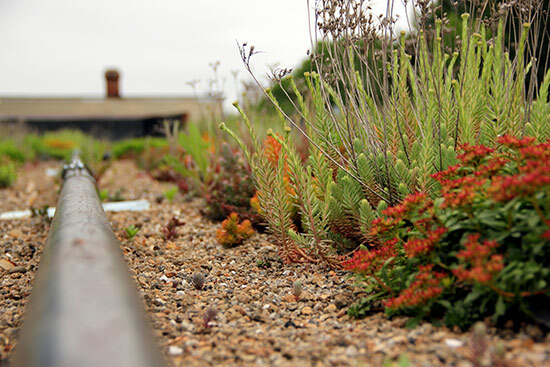 The U.S. Department of Transportation green roof, completed in 2007, covers 68,000 square feet in drought-resistant succulents and retains one million gallons of stormwater annually. While there are many green initiatives you can take inside your home or work to help your community, there may be one place you haven’t touched yet: your roof! You can turn your roof into an eco-friendly habitat by creating a green roof. Unlike regular roofs, plant life seamlessly becomes part of a green roof landscape. It can come in many shapes, sizes and types. While the most common type of green roof is sedum, adding agricultural and lounge areas to green roofs are also popular. Sedum, such as the bright yellow ogon or creeping sedum, is in the succulent family and great for green roofs: it stores water in its leaves during the day and opens at night, saving most of the moisture available. 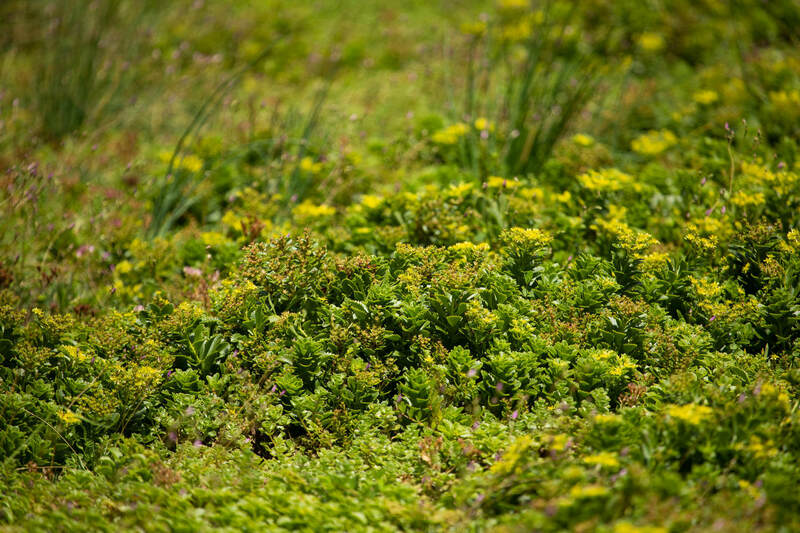 The shallow root system of sedum is ideal for a low maintenance yet highly resilient green roof. Often, this includes a specialized roof membrane designed to secure the root system and direct stormwater runoff. These spaces can be large or small, extravagant or simple. By adding a few tables and chairs for outdoor lunches or space for meetings, a functional green space roof provides benefits for the environment and its people alike. Agriculture green roofs are planted with vegetables, fruits and herbs rather than small plants, and they’re a favorite for apartment complexes or community groups distributing food. Stormwater—rainwater that can overflow gutters and wash out roadways—has become a forefront issue for local governments, homeowners and businesses alike as storms have become more intense. With few places to absorb rain in cities and suburbs, the rush of water that occurs during rainstorms carries pollutants and debris into waterways. A green roof can reduce as much as 79 percent of a building’s total runoff, while the plants on the roof clean and filter the water. In cities with a combined sewer system, in which water treatment and sewer systems are one in the same, heavy rainfall can exceed the capacity of the system. This means untreated stormwater and wastewater flow together into local water bodies. 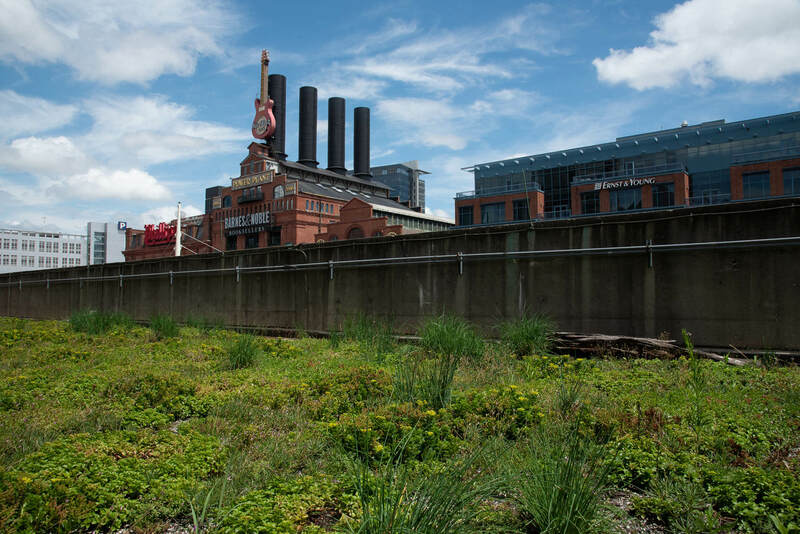 When a city employs green infrastructure and green roofs, the result is a charming scene that also helps local rivers stay clean and become healthier. Because roofs are heated by the sun, urban areas are hotter than rural areas in the same vicinity. This is known as the “heat island effect,” when paved surfaces (concrete, tar, etc.) absorb sunlight during the day and increase the surface temperature. This heat is released at night into the air. The annual mean temperature within a city of one million or more people can be 1.8 to 5.4 degrees Fahrenheit warmer than surrounding areas, and 22 degrees warmer at night. Heat islands increase summertime energy demand, heightening cooling costs while causing air pollution and greenhouse gas emissions. By providing a natural barrier between the harsh solar rays and the roof, green roofs mitigate this problem while insulating the building below. Maintenance costs can be a burden, but they’re less so with plants in the mix. Green roofs last longer than traditional roofs because the same barrier that fights the heat island effect protects breakdown of the roof from harsh weather. Along with a healthy environment and happy wallet, a green roof can help fill your plate. Green roofs can be planted with vegetables, fruits and herbs rather than small plants. People are also able to reap many benefits from having a green space in their place of business. 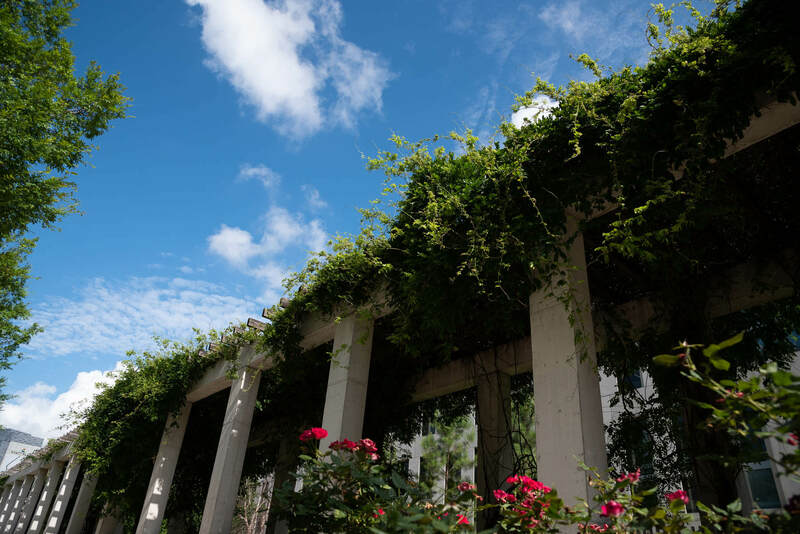 An Exeter University study found that employees working in a green space were 15 percent more productive than their peers. Other studies have found connections between employee health to an increased access to green space. From a customer service perspective, there is also evidence that green space (including green terraces/roofs, green walls and indoor plants) increase likelihood of customers patronizing businesses by increasing time spent interacting with the business. There’s a reason you see pictures of people in front of green walls and plants on Instagram; people love greenery, even if just for the aesthetic. Whether your green roof is part of a rooftop cafe or a patio with street access, increasing foot traffic to your green space can also bolster your business. 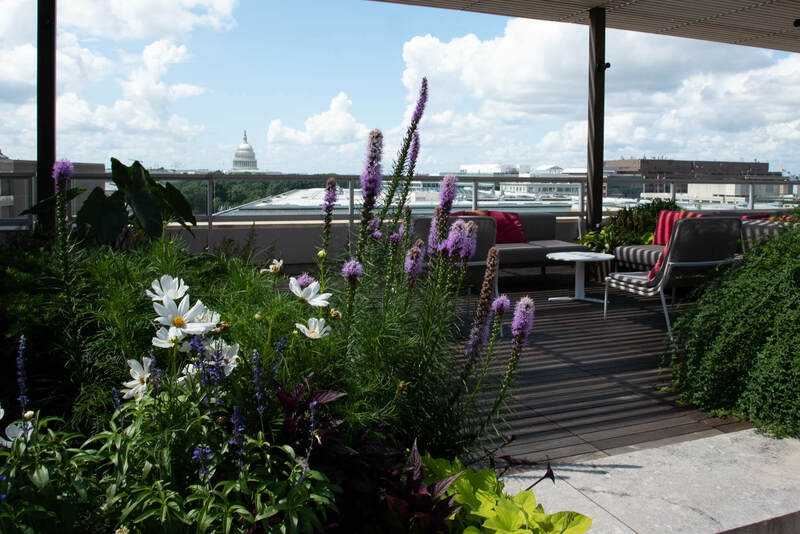 It is important to note that you should always do your best to include native plants on your green roof. Because native plants have adapted to this environment, they interact with other plants in a mutually beneficial way, support native pollinators and wildlife and are easy to grow. Another important reason to grown native plants – particularly in the place of non-natives – is because of the role that birds and pollinators play in spreading seeds. When birds eat, they move seeds away by jostling the plant or carrying the seeds. By giving them access to native plants, you can help spread native rather than non-native species. A beautified building, cooler temperatures, money saved and happy employees are benefits of green roofs, but looking into local organizations may bring you even more. 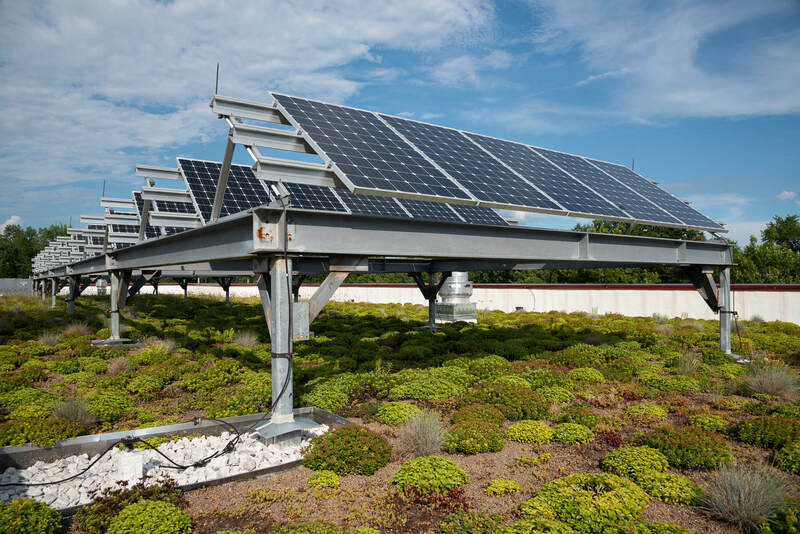 Certain areas have incentives to installing green roofs, such as the Riversmart Rooftops Green Roof Rebate Program in Washington, D.C.
Before you start putting plants on your roof, there are few things to consider. Check with your local government to ensure that you are in compliance with all green roof and roofing laws. Some areas may require permits and/or safety measures, while other governments may not have any legislation on the books yet. Set out a plan for what you want your green roof to be: a place to relax, an energy-saving measure, a step towards green initiative goals or all of the above. What is your goal with this green roof? Who will be in charge of maintenance for this green roof? You’ll need a knowledgeable company with experience installing green roofs. While this is a great project that you’ll be able to enjoy for many years, it is certainly not a do-it-yourself. Roof collapse is very possible if not executed correctly. Your contractor will be able to tell you what type of roof your space is best suited for when considering space, structural integrity of the building and budget. Not all contractors specialize or have training in green infrastructure, so if you have already hired someone, getting a second opinion or have a team for just the roof is always possible. With all this information, you can safely begin your green roof initiative. 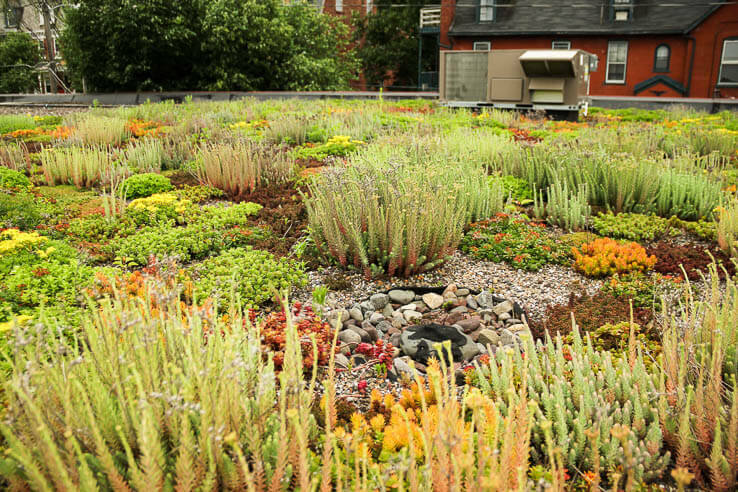 Whether you choose a lush sedum roof, a comfy lounge space or a place to grow your favorite vegetables, you can start your project with the tools and resources to make your green roof as successful as possible. Do you have a green room at home or work? Let us know in the comments! About Kaitlyn Dolan - Kaitlyn Dolan is a recent graduate of Rochester Institute of Technology where she studied photojournalism and received a minor in social inequalities. Her capstone work focused on the revival and preservation of Onondaga Iroquois traditions. Growing up in New England, Kaitlyn formed an appreciation for the environment at an early age while spending time outdoors with her father. A PADI rescue diver, Kaitlyn is currently working towards her master diver certification. She is a lover of yoga, plants, dogs and tea. Kaitlyn, nice intro to your new blog, very well-written. And the subject matter, well documented. Your passion for the environment, evident. Keep it going, no one can stop you! !